Has anybody seen any C6 GS convertibles for sale? if so please let me know. If I can find what I am after my current 2008 C6 LS3 convertible in Claret/Crystal Red metallic will be for sale. 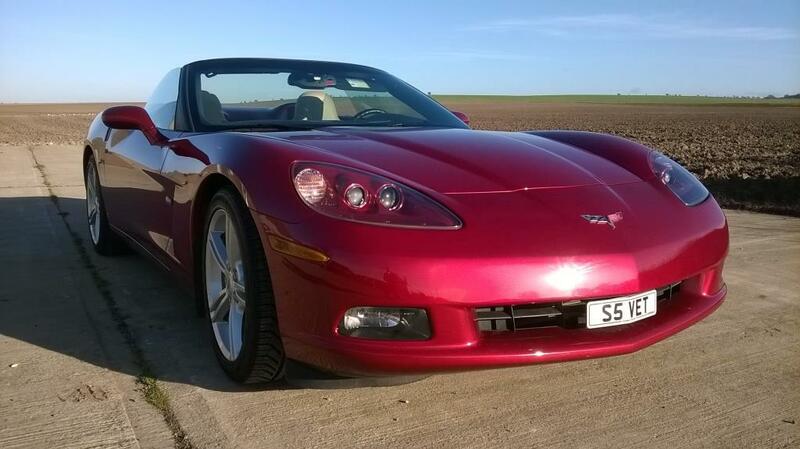 I think all C6 GrandSports are pretty rare in UK with the convertibles even rarer. GS went on sale in Europe towards the end of Bauer Millett's time as "official UK dealer" and at what looked to me like a very high price - which made them very hard to sell. I think GM were trying to get into a position where they could say, "Look, our new C7 is only 50p more expensive then the outgoing model !". I think you'll need to be willing to look at any car that comes onto the market. Good luck with the search. Hi, It`s my first time on a forum of any sort. I am looking for a red c6 convertible auto. Is yours for sale still? as it looks great and I would prefer to buy from another member. Is it auto? Thanks, Matt. Sorry Matt but as yet I have been unable to find a GS to the spec I am after, so until I can I will be keeping the C6 for the moment. Good luck with the GS search and please keep me in mind when the time comes. Thanks, Matt.